First off, let me say a big Happy Thanksgiving to my fellow Canucks. Above is the view out the window above my baking counter – I really love this time of year. I hope you’ve been able to spend time with at least some of the people you love this weekend. 🙂 I had the chance to go home and visit my immediate family a couple of weeks ago, then friends had us over for turkey dinner yesterday, and I managed to have a good visit with my Grandma today. She hasn’t been doing so well lately, in a variety of ways, so I’m really grateful for the good days, right now. I’m also really grateful for friends who were happy to share their Thanksgiving table with us. Yesterday afternoon, we went for a walk in the woods at an off-leash dog run area with our friends and their pup, then came back to their house full of wonderful holiday meal smells. My contribution to dinner was a batch of rolls (from The Bread Bible), along with a frozen lime meringue pie (from The Baking Bible). An aside: I realized while I was baking this weekend that I tend to keep (possibly creepily) close track of my friends’ tastes, because I really like planning and baking things for people that I know that they’ll enjoy. My friend Jimmy used to be part of the Thursday lunch BBQ crew at my office, before he went to work at another company. Every August, for the Thursday closest to his birthday, he used to bring in a couple of key lime pies that his mother made, because they were his absolute favourite. I offered to bring dessert yesterday, and was flipping through my mental inventory of what would be appreciated, and settled on the frozen lime meringue pie. It went over really well. On to this week’s assigned baking from Rose’s Alpha Bakers… I sent a note to my friend Gilad the other day, pointing out that we were midway through October, and since this is the second-last month of his “year of desserts,” I let him make the choice of what he would get this month. He went for the one with brownie in the name, so this week’s dessert was his! I’m constantly amazed at how Rose’s crust recipes turn into something that can be rolled out, when they look like the above, after all the ingredients are mixed together. 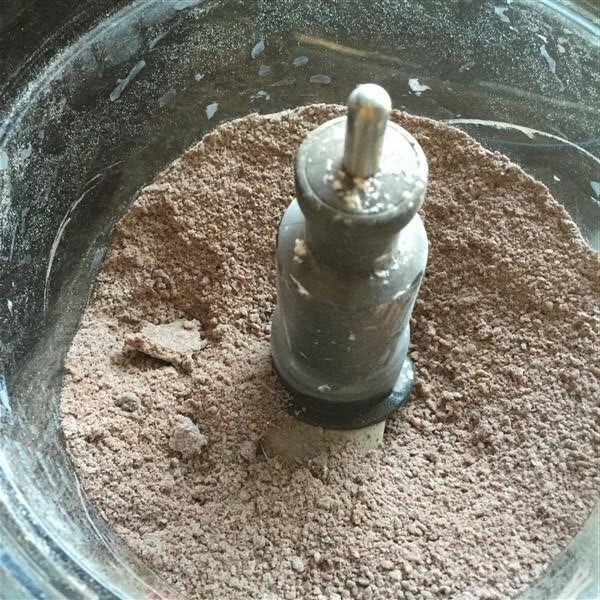 Then, after dumping a mixture like that into a ziploc bag, kneading it a bit, then letting it rest in the fridge, it generally turns into a dough that is just lovely to work with. 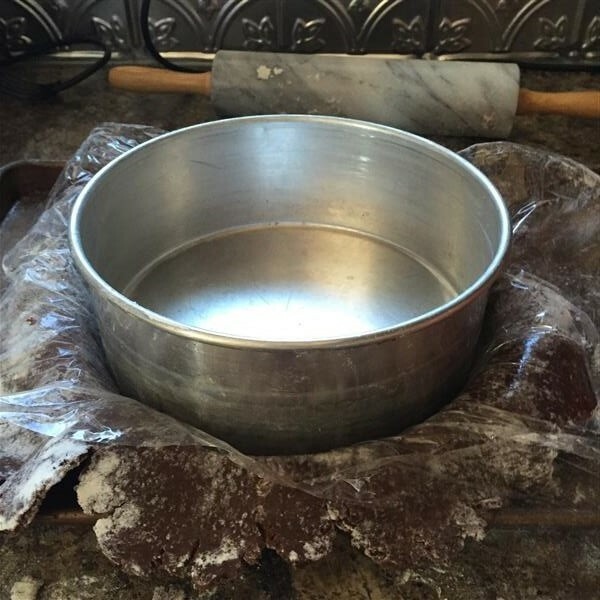 …add the ring, then flip it over and remove the cake pan and plastic wrap. Trim off the excess, leaving a bit of overhang, then fold in the overhang, making a stable crust. That goes into the freezer while you make the filling. 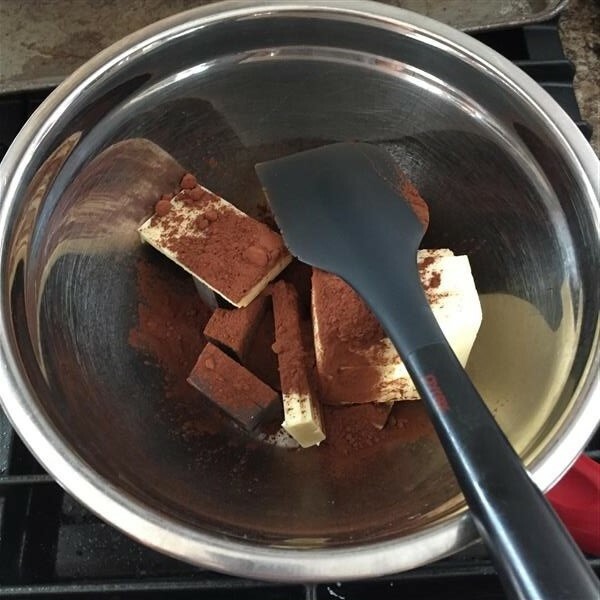 To make brownies, always start by melting actual chocolate with butter & cocoa. In my experience, the texture you get from that starting point is just impossible to achieve any other way. 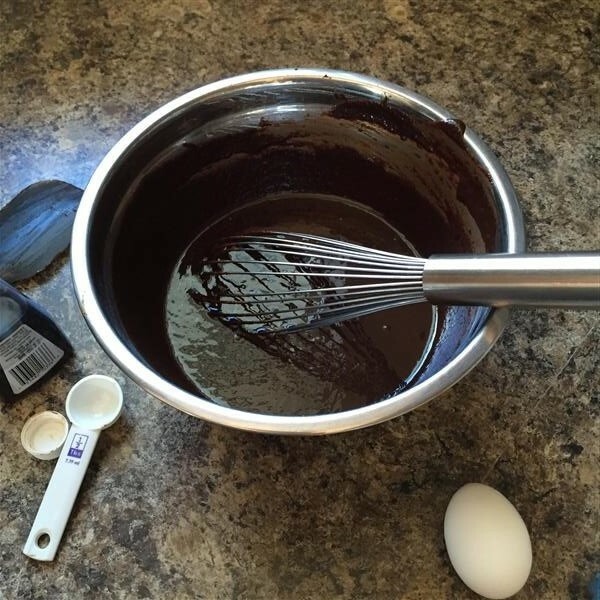 After the butter & chocolate mixture is melty, add sugar, then beat in eggs & vanilla. Add the dry ingredients, and mix just enough to combine. 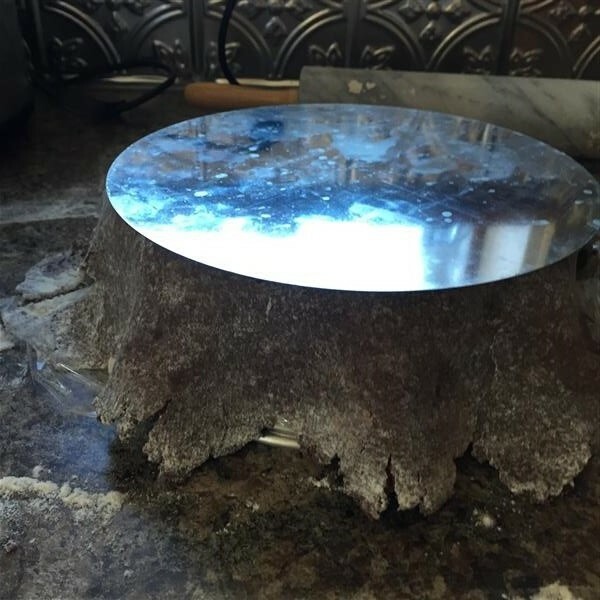 Pour the brownie batter into the frozen tart shell. I had a little bit of leftover crust when I trimmed the excess, so I made it into a half dozen little cookies. I figured they may or may not turn out, but it was better than throwing it out. I brought the cookies to Thanksgiving dinner, and they were happily consumed. I think I should have taken them out a bit earlier, because they got pretty dry and hard, but they were still tasty. I have no idea what this tasted like. I’m going to guess, though: I bet it tasted like a fudgy pudgy brownie inside a big chocolate cookie! Sorry I don’t have much more to say about this one. I thought it was pretty easy to make. I hope Gilad enjoyed (is enjoying) it! 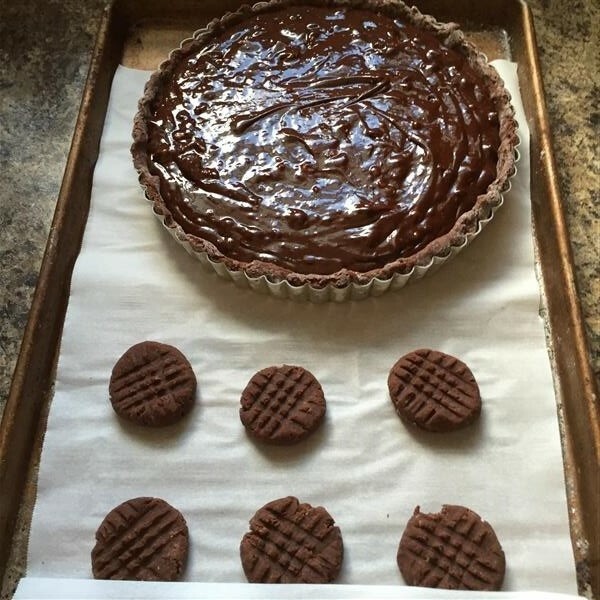 Posted on October 13, 2015 by KristinaPosted in The Baking BibleTagged brownie, chocolate tart. “I’m not seeing any problem, here.” This guy is funny! Great pictorial. Thanks for photographing the dough on the cake pan-I just haven’t been able to grasp it until now. 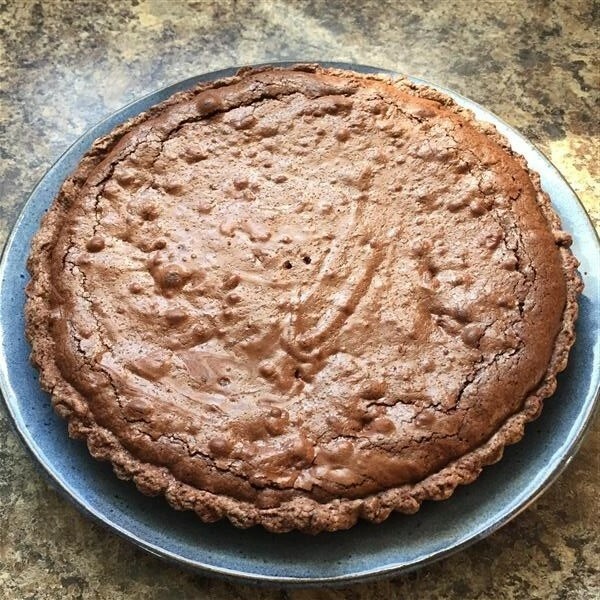 This brownie tart turned out amazing and I really wasn’t that excited about it. Should have known! Funny, yes, I know. Have I mentioned how much I love my friends? 🙂 I find it absolutely amazing that I landed a job (9+ years ago!) where I’ve made so many great friends, including people who have moved on to other companies, like both of the guys mentioned in this post. Lucky friends you have there to be able to get all the desserts you bake. I need to find a place to work like that! Gilad needs to stop by and give us his review of the tart. Gilad is going to miss his desserts in a couple of months. That view from your kitchen is lovely, a friend is in the US and Canada at the moment and has posted some beautiful autumnal photos.